Completely redesigned for better, brighter in-camp illumination, the fully rechargeable Black Diamond Apollo lantern delivers 250 lumens of glare-free light and charges handheld electronics via USB. 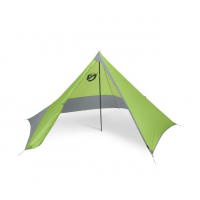 Nemo Camp & Hike Apollo Tarp Tent 3 Person 814041018746. Combine Apollo shelter Moonwalk and Escape Pod bivy for the ultimate bikepacking kit.